Gujarat Panchayat Seva Selection Board(GPSSB) has published an Advertisement for below mentioned Posts 2017. Other details like age limit, educationalqualification, selection process, application fee and how to apply are given below. A candidate shall possess - (i) A Bachelor’s degree from any of the Universities established or incorporated by or under the Central or a State Act in india or any other educationalinstitutions recognized or declared to be deemed as such as a University under section 3 of the University Grants Commission Act, 1956; (ii) the basic knowledge of computer application as prescribed in the Gujarat Civil Services Classification and Recruitment (General) Rules 1967; (iii) adequate knowledge of Gujarati or Hindi or both. A candidate shall possess- (i) A postgraduate degree with second class with Statistics or Applied Statistics or Mathematical Statistics or Economics or Applied Economics or Business Economics or Econometrics or Mathematics as a Principal Subject obtained from any of the Universities established or incorporated by or under the Central or a State Act in India or any other educationalinstitution recognized as such or declared to be deemed as University under section 3 of the University Grants Commission Act, 1956 : or (ii) A second class degree with at least 55 % marks with Statistics or Applied Statistics or Mathematical Statistics or Economics or Applied Economics or Business Economics or Econometrics or Mathematics as Principal Subject, obtained from any of the Universities established or incorporated by or under the Central or a State Act in India or any other education institution recognized as such or declared to be deemed as a University under section 3 of the University Grants Commission Act, 1956. (iii) The basic knowledge of computer application as prescribed in the Gujarat Civil Services Classification and Recruitment (General) Rules, 1967; (iv) Adequate knowledge of Gujarati or Hindi or both. 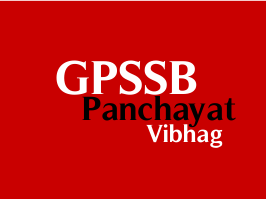 0 Response to "GPSSB Recruitment 2018 for 320 Extension Officer, Nayab Chitnish, Compounder & Research Assistant Posts"